I remember driving to the mall with my dad, to buy a copy of Netscape Navigator 1.2 on floppy disks. Since that time I’ve had a soft spot for Netscape and its successors, including Firebird and the increasingly irrelevant Firefox. 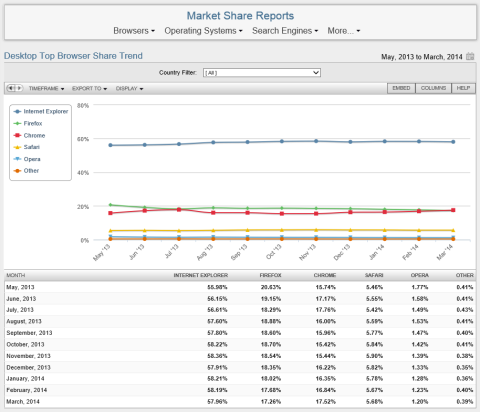 This month comes the news that Firefox has fallen to 3rd place, with more users on both Google Chrome and Internet Explorer. Life’s too short to waste time on a third place browser. I am writing this on Google Chrome, and regularly use Internet Explorer. But I’ve uninstalled Firefox. Classilla is bringing back web browser support to your classic Macintosh — built on WaMCom, a port of Mozilla to classic Macintosh systems, using the same technology underpinning the popular Firefox browser. It’s completely free and it’s open source, and it’s standards-compliant. Use it without cost or restriction; or, if you’ve got the skills, hack it and make it your own. Classilla brings your wonderful old Power Macintoshes back to life and back online. So, big props to Classilla, the Mozilla Foundation, and all others who are working on this wonderful “pre-alpha” project. Thanks!